Orlando Jet Charter has expanded to include a wide range of additional private aviation services for leisure and executive travelers, putting the benefits, comfort, and convenience of private aviation at their fingertips. Our team can add hours of time to your day while you bypass the hassles of flying commercial, including connecting flights, security lines, baggage claims, delays, cancellations, and inconvenient scheduling. Whether you’re interested in a private jet charter to Orlando, purchasing your own aircraft, or looking to add the flexibility of executive aviation to your Florida-based business, our private jet services have you covered. Interested in buying/selling your own private jet or turbo-prop? Our team is available to assist in the entire process, and we can co-ordinate with executive flight departments acquire a business jet, or add an additional aircraft to their fleet. Whether you’re interested in purchasing a new/pre-owned aircraft or have a plane you’re looking to sell, we can help to maximize your aircraft’s market and make the transaction go smooth. We provide private jet management, as well as marketing services to aircraft owners in the Orlando/North Florida area, helping to offset ownership and operating costs using our experience and industry knowledge. What’s the best airport to base your jet? Which airports have the best prices on fuel? What routing will maximize my plane’s market? How do I account for trends in the aviation market? These are all important questions owners need to ask, and we’re here to help you get the answers you need. Having your private jet or turbo-prop marketed and managed by Orlando Jet Charter is an essential component to private aircraft ownership in the Sunshine State. A popular destination for business aviation, Florida is home to some of the busiest private jet airports in the Southeast. If you’re a personal assistant or work for a flight department and you need to arrange an executive charter flight, let Orlando Jet Charter become your personal private aviation assistant. Our team can handle all of the travel arrangements, including custom flight routing, gourmet catering, ground transportation and helicopter transfers. You can also take comfort knowing we’re one of select number of Wyvern-certified charter brokers – we utilize some of the highest safety and due diligence processes in private aviation, often meeting and/or exceeding those set by the FAA and Fortune 500 flight departments. The privacy, safety, and comfort of our clients is our top priority, which is why we diligently review every detail found in the most recent reports for pilot safety, aircraft maintenance and operator history. We also understand that this business is about forming a relationship with your travel partner as as much as it’s about the dollars and cent. That’s why our private aviation team is available to you 24/7 to answer all of your questions and provide a transparent, one-on-one consultative experience. If you have a private or corporate aircraft that is scheduled for routine maintenance, has a mechanical issue, or you need to arrange simultaneous trips for your executives, a supplemental charter flight can be arranged in as little as 4 – 6 hours. Enjoy comprehensive executive jet services with Orlando Jet Charter. Do you find yourself frequently chartering flights to/from Orlando and surrounding areas of Florida? Perhaps you usually fly commercial first-class, and upgrading to a jet card membership is something you’re considered experiencing for yourself. No matter what your reasons are, we’re here to review all the options so you can make a more informed decision. 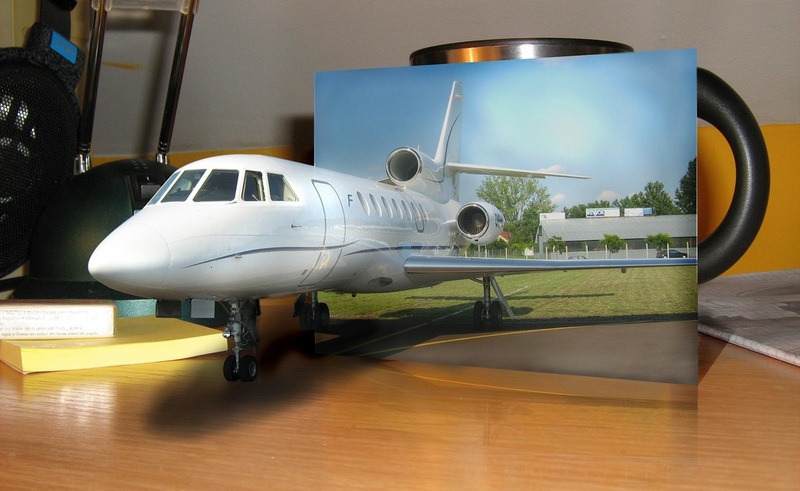 Although we focus on pay-as-you go, on-demand charter service, we understand that every client’s needs are different. Give us a call and we’ll be happy to discuss all of the benefits and limitations that come with fractional aircraft ownership and private jet card memberships, so you can make the best choice for you, your family or your business. Already a fractional owners or jet card member? We offer unlimited quotes with zero commitments and zero obligation – compare our quotes to your current plan before reserving hours for future flights! There are time when a private charter flight is arranged out of necessity, and not luxury or convenience, as is most often the case with Non-Emergency Air Ambulances & Medical Charter Flights. Some individuals and patients have medical conditions that require an Air Ambulance with medical staff on-board, while others may require a private aircraft if commercial travel is not an option, or a major inconvenience. How do you know which one is best suited for your needs? It’s important to work with a company experienced in dealing with medical charter flights and air ambulance operators, allowing them to handle any situation or changes that may arise. That’s why our Private Jet Charter Orlando team is here to assist during difficult times when you or a loved one is suffering through health problems. If you are in need of a medical charter flight or non-emergency air ambulance, we can arrange the appropriate aircraft and medical crew for your flight. If you have any questions, or need to book a Non-Emergency Medical Charter Flight or a Medical Air Ambulance, pick up the phone and give us a call – we understand how sensitive and stressful these times can be, and that’s why we are available 24 hours a day, 7 days a week for you and your family. Thanks to an impressive roster of theme parks & attractions and a thriving tourism industry, Orlando is one of the most popular destinations for private aviation in Florida, which is already one of the busiest aviation regions in the world. Florida is home to thousands of private jets, turbo-props, pistons and helicopters, giving you a wide variety of aircraft to choose from. One-way flights from Orlando are easy to arrange as most aircraft can be scheduled to return to Florida – for less common routing, you may have to pay for the round-trip, including re-positioning back to an aircraft’s home airport. That said, the high-volume of private jets heading to/from Florida from across the country and around the globe create opportunities for empty leg charter flights, which can greatly reduce the cost of your flight. It’s important to work with a partner who knows where to find the best deals on the market, and booking an empty leg charter flight to Orlando can potentially reduce your charter cost by up to 75%! Please note that availability for these flights fluctuates constantly based on aircraft scheduling, flight crew duty, and a variety of other factors, and empty leg flights may not be applicable for your routing. Hire a private jet and visit Orlando for business, leisure, a round of golf, or to visit the theme parks with your family! Arrive at one of several Orlando-area airports, step off the plane and walk directly to your limo or town car! If you’re planning an extended stay, moving to the area, or flying south to a vacation home, make sure to ask us using an empty leg for a savings on one-way flights. Orlando Jet Charter works directly with high-profile clients, executive flight departments, and affluent leisure travelers to book private flights to the Orlando area, and to/from anywhere else in the world. Our company was formed to deliver a one-on-one, consultative experience to private flyers, and our services cater to many types of private flyers throughout the world. Our commitment is to arranging the best charter flights possible, and we never cut corners when it comes to your privacy, safety, or comfort. Florida’s tourist attractions and high-profile business conventions at the Orange County Convention Center draw visitors from all over throughout the year. Whether you’re chartering a private jet with friends to the Gulf Coast for Spring Break, bringing your family to experience the best of Disney, Universal Studios and their respective resorts, or any other reason for your visit, we’ve arranged hundreds of charter flights to/from Orlando, and we go above and beyond to provide our clients with service that is second to none. Check out the complete list of private aviation services we offer, and feel free to call or contact us if you have any questions. Our brokers are available to you by phone/e-mail 24 hours a day, and our services extend around the world!